Dubai UAE, November 2017: Yaaas! Don’t sweat as this year there will be no need to leave YAS Island to stand toes-in-sand at your favorite Ibiza Beach Club. 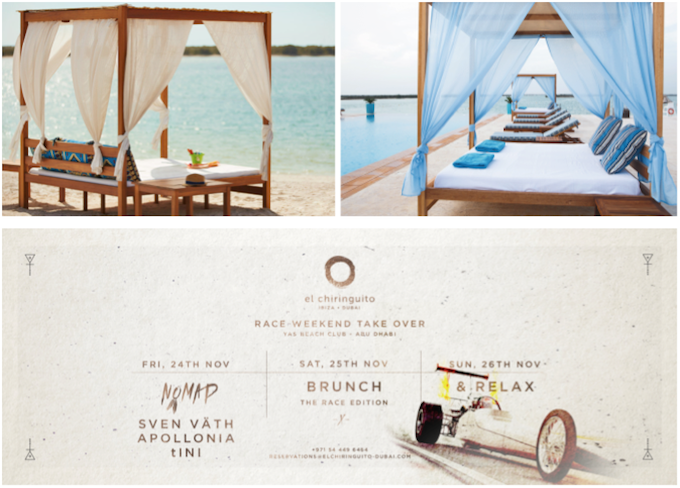 El Chiringuito will be uniting its beautiful kaftan clad beach goers and Nomad Tribe with F1 fans as they set up home on YAS Beach during the hugely popular Abu Dhabi F1 race weekend, taking place on 24th, 25th and 26th November from noon onwards.